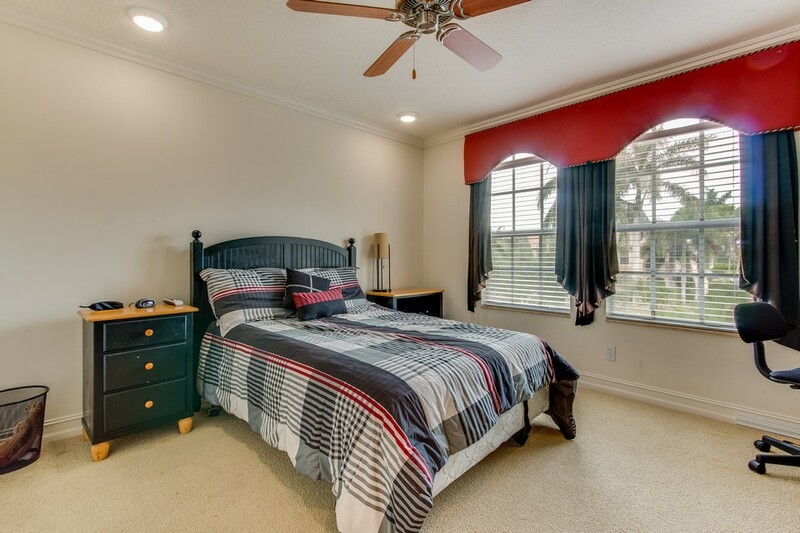 Former 5 Bedroom Builders Model with pool on Oversized Lot with Accordion Hurricane Shutters for all side & rear facing windows. 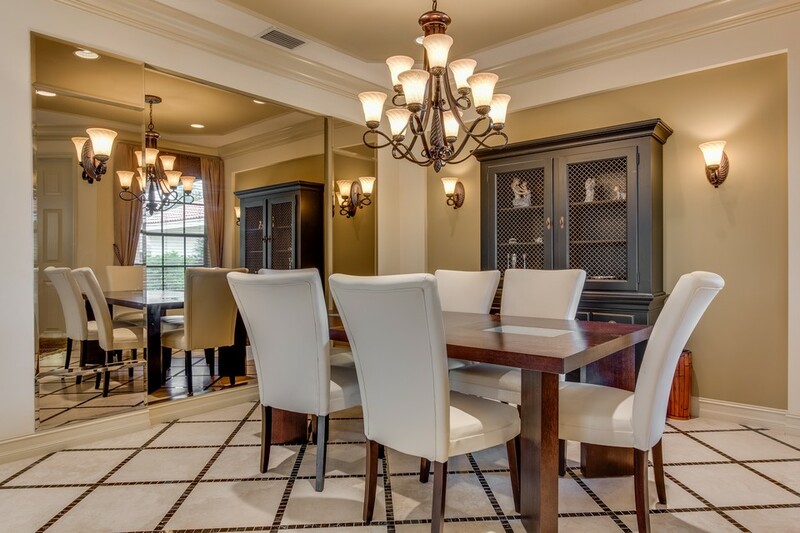 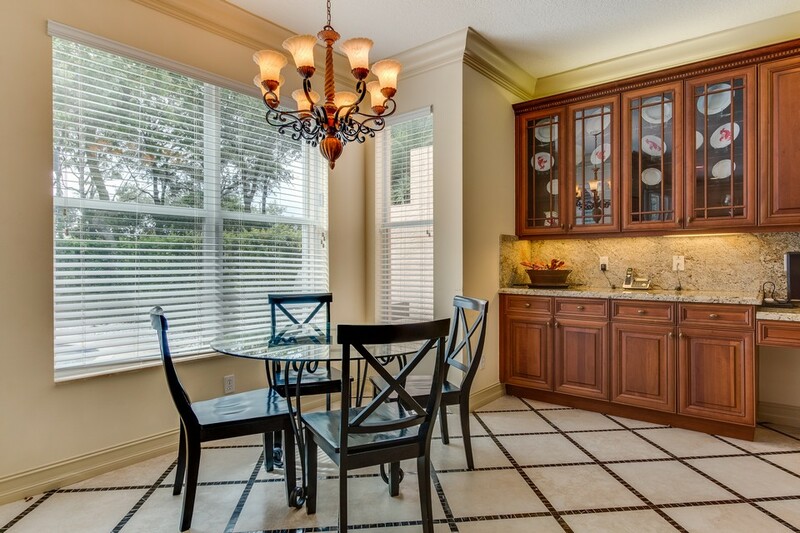 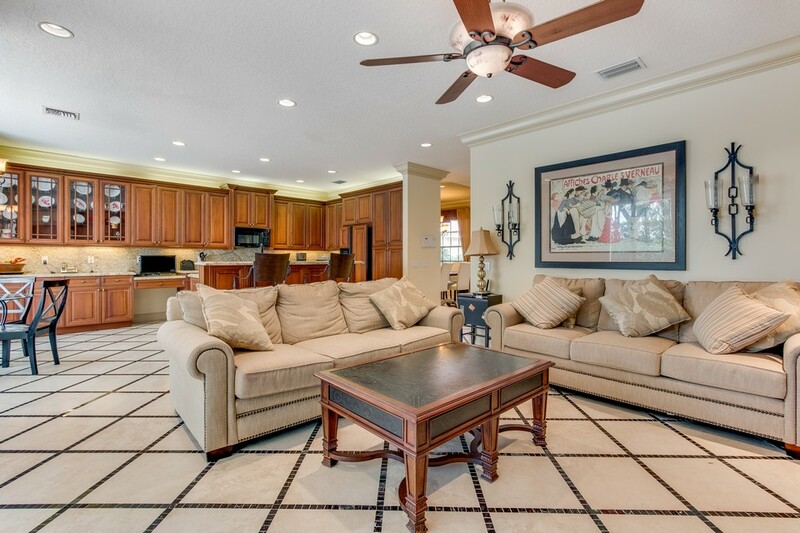 Entering there's Gorgeous Tile on the Diagonal with Custom Border & Crown Molding throughout. 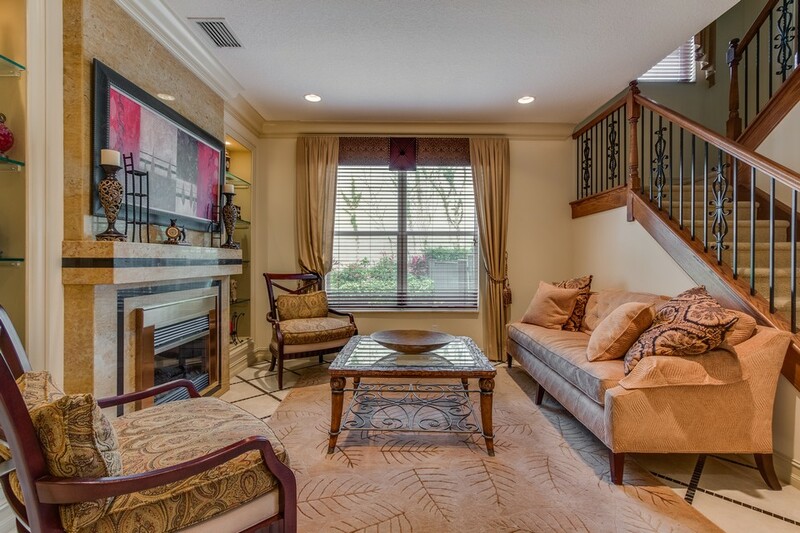 The Living Room has a Custom Stone Fireplace. 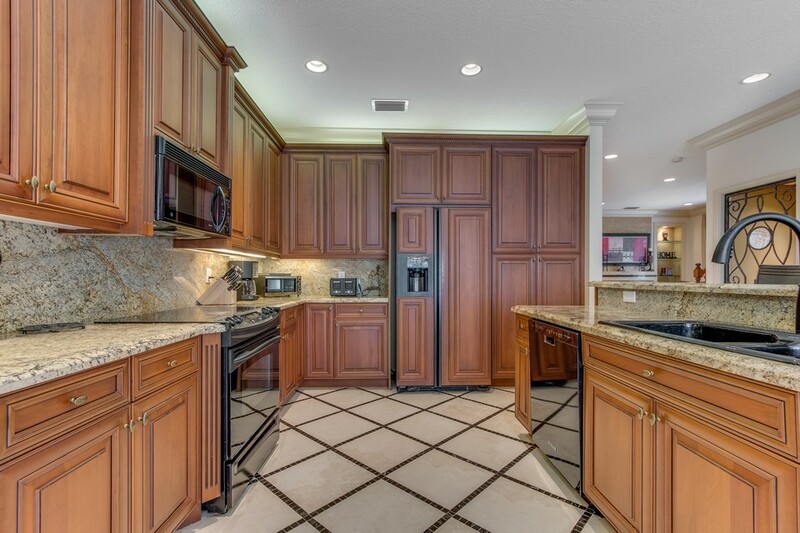 The incredible Kitchen features 42'' Wood Cabinets with Dentil Crown Molding, Fluted Columns, Glass Doors, A Built-In Lazy Susan & Refrigerator Cabinet Facade as well as Granite Counters with Full Backsplash & Upgraded Appliances. 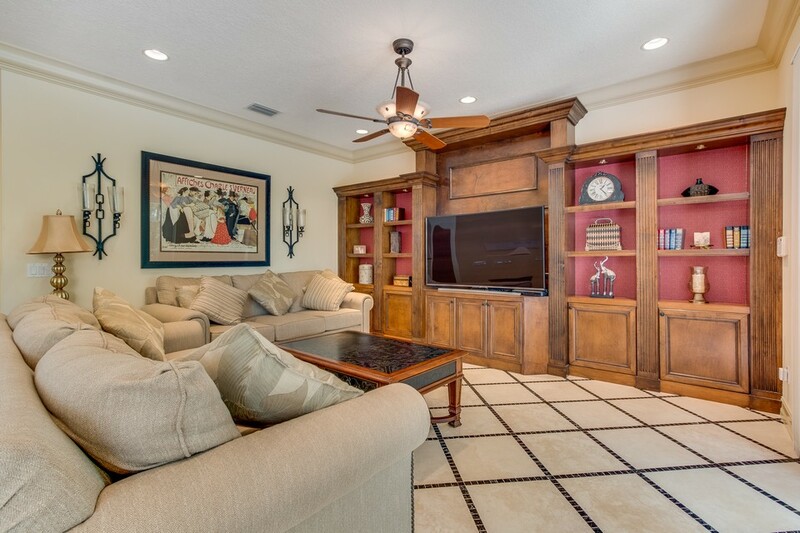 The Open Family Room features a Custom Wood Built-In Wall Unit. 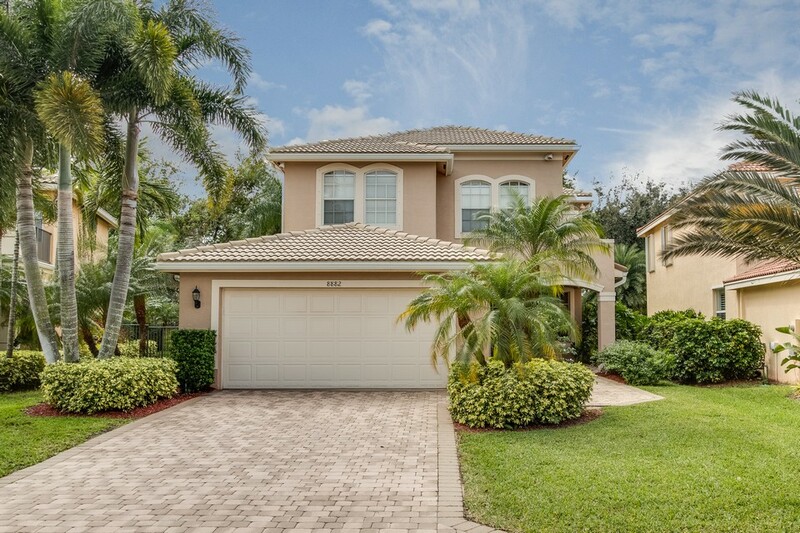 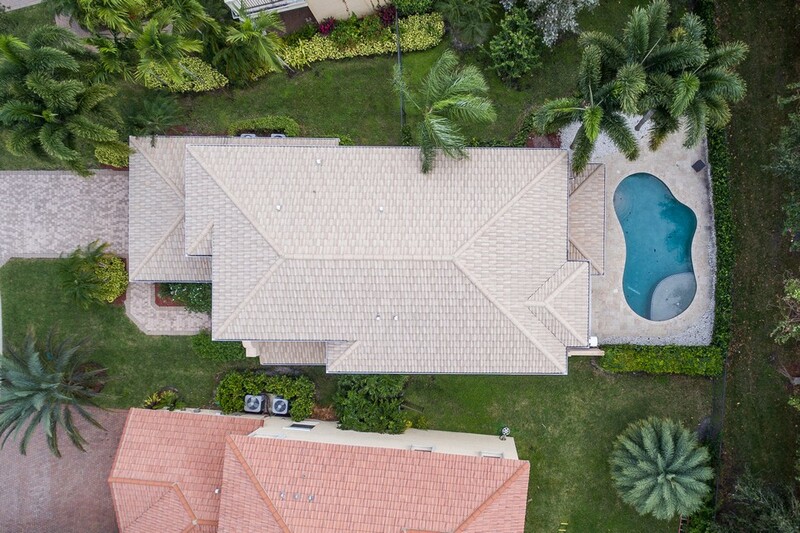 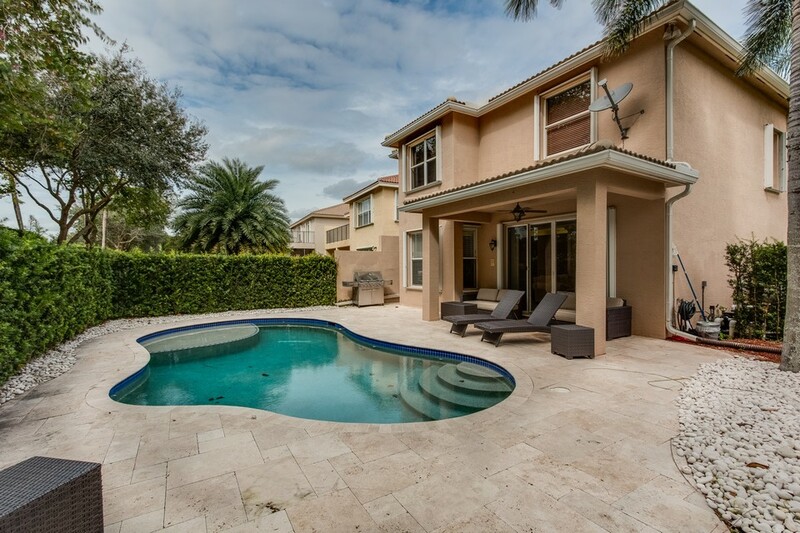 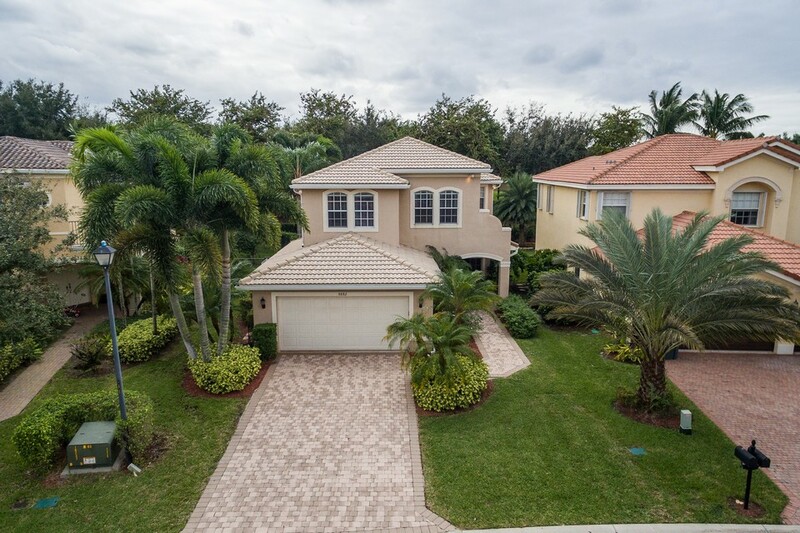 Out back a fully fenced oversized yard with plenty of privacy overlooks a custom freeform pool & Travertine Pavers. 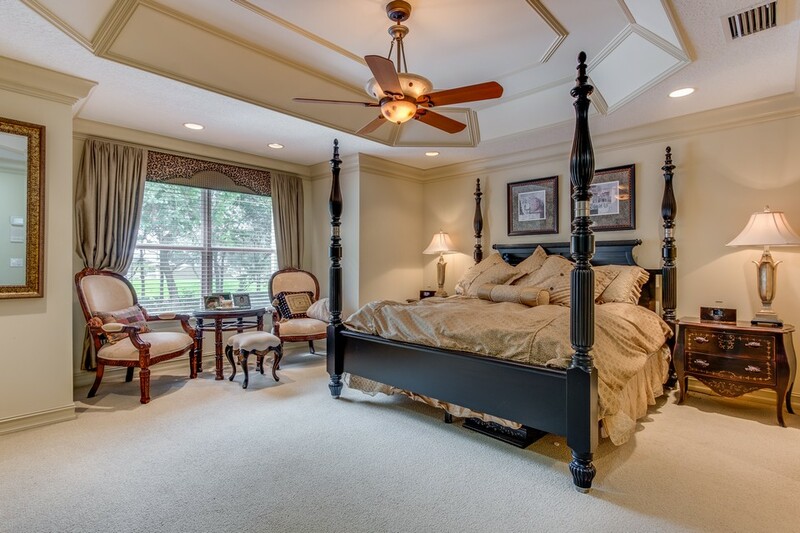 An upgraded Wrought Iron staircase leads you up to the Large Master Suite with Custom Closets & Luxurious Master Bath. 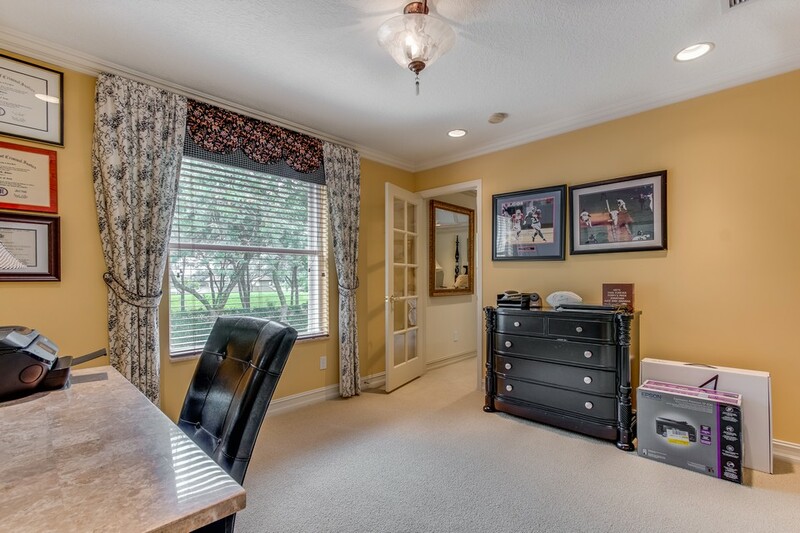 All 4 Guest Rooms are Large & include Walk-In closets. 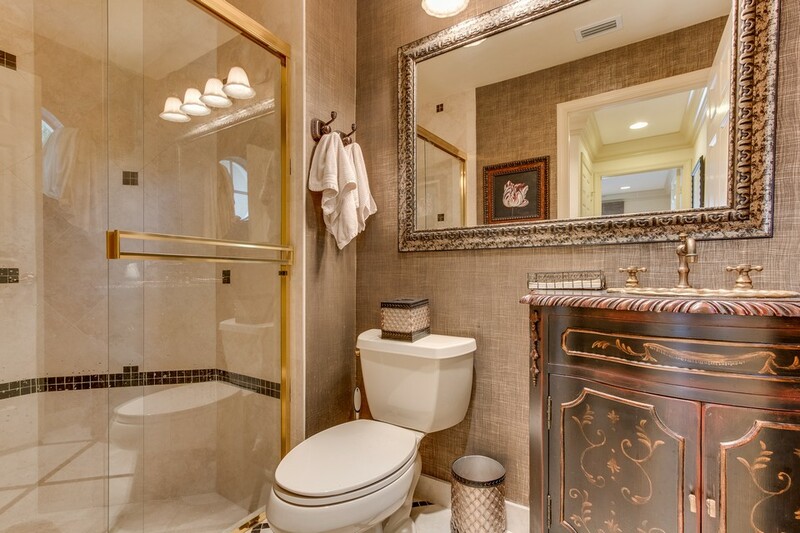 There is Full Bedroom & Bathroom on the 1st Floor. 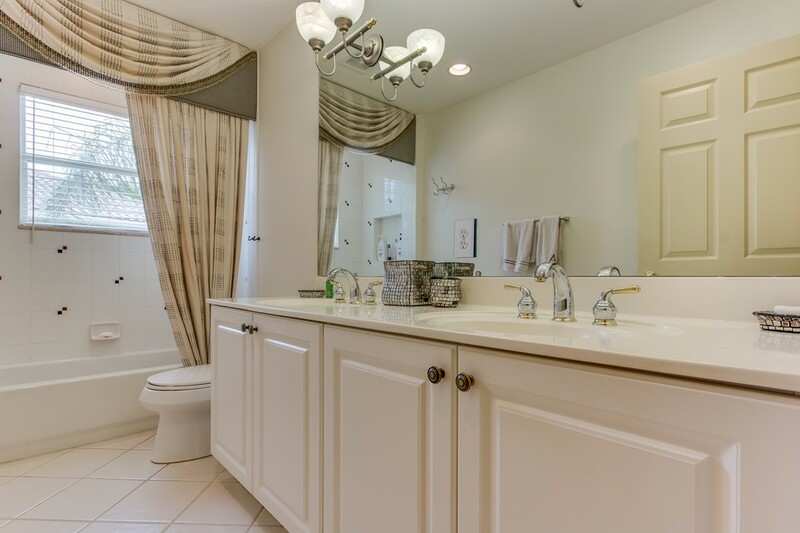 The Laundry Room conveniently located upstairs includes a newer Front Load Washer & Dryer. 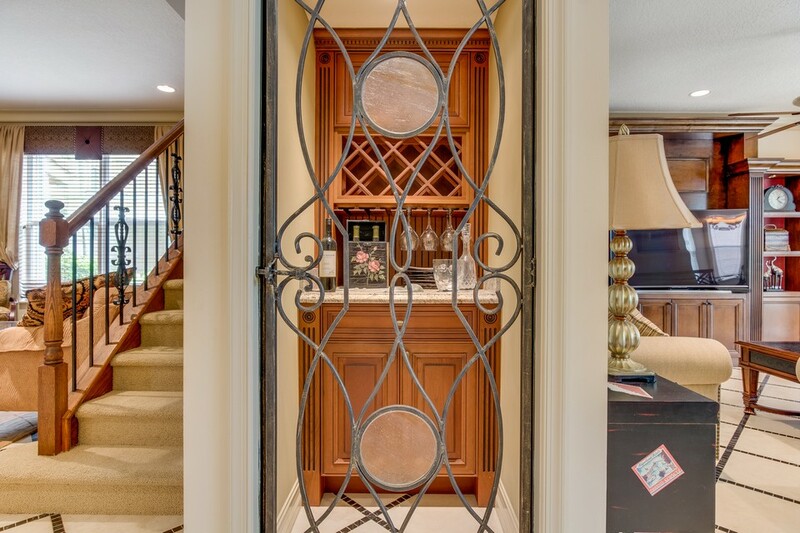 Other upgrades in the home include a Newer AC System, Flat Wall finish on all walls, Intercom System & Custom detail work you would only find in a Builder's Model. 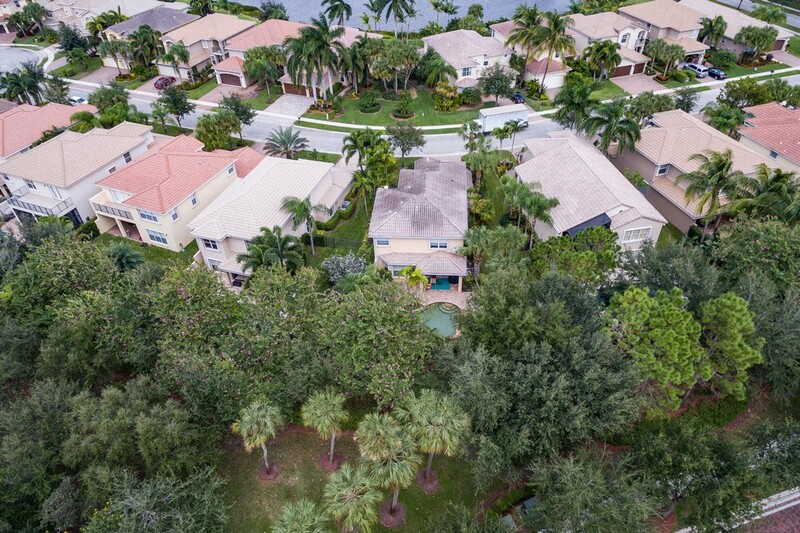 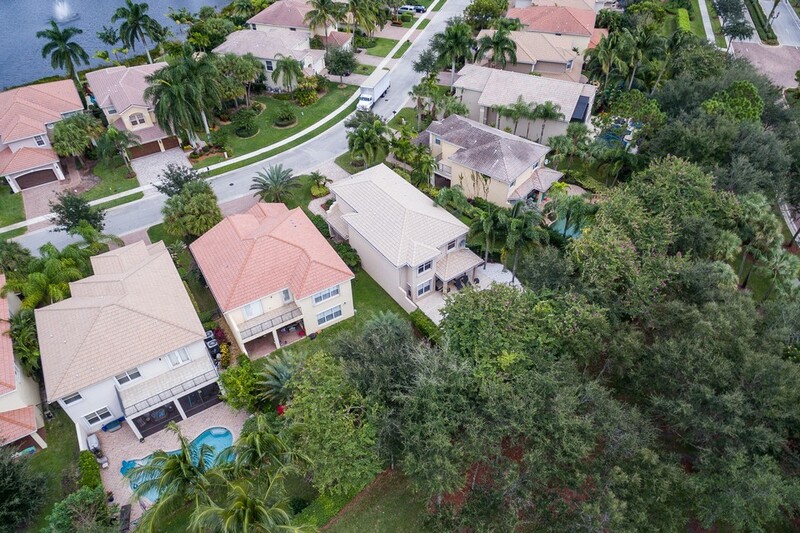 Canyon Lakes is an incredible Manned Gated community with incredible amenity filled clubhouse all within walking distance to schools & shopping!